Okay, guys so just like I mentioned last week, we will have back-to-back homeschool reviews. Today I'm going to be talking about two books in the Andi series that we love from Kregel Publications written by the wonderful author Susan K Marlow. The last few weeks we've had the pleasure of reading the first two titles from the new Circle C Stepping Stones set, Andi Saddles Up and Andi Under The Big Top. So, if you aren't familiar with Susan K. Marlow and her work, these stories revolve around a girl named Andi (Andrea Carter) who is growing up in the late 1800s. There are four sets of books covering Andi's life from when she was a spunky young girl to a bright teenager. In The Circle C Stepping Stone set Andi is finally nine years old! 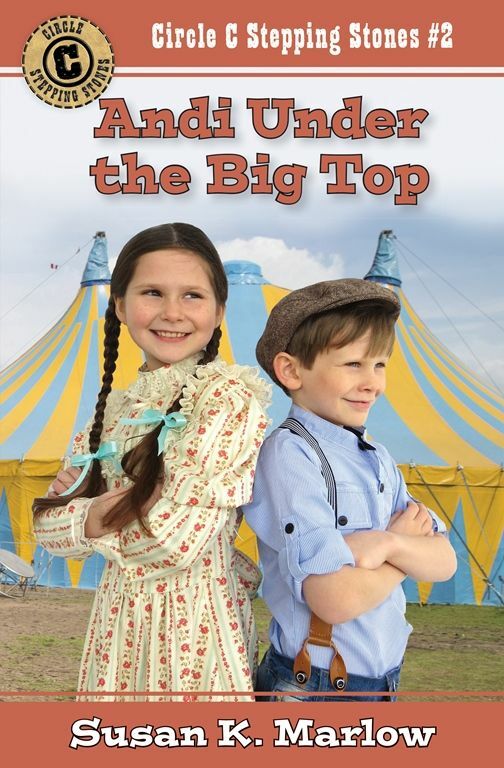 In the stories it goes on to tell about her adventures with her new horse Taffy and her finally getting some one-on-one time with a real horse and one summer when the circus came to town. 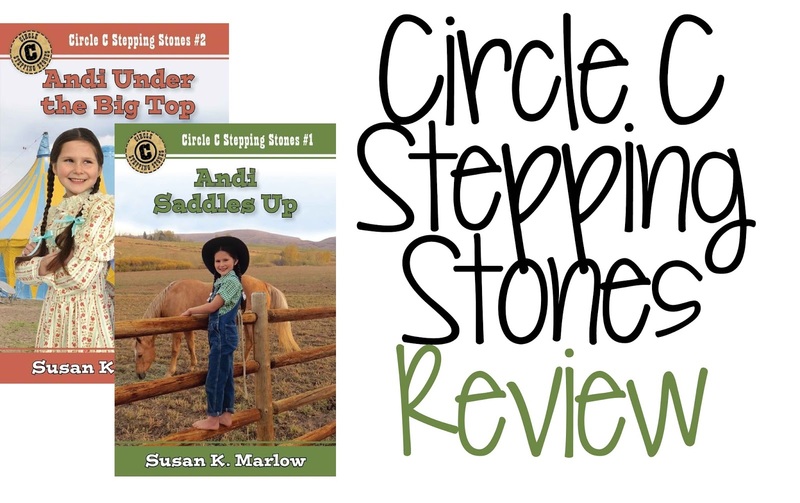 The books in the Circle C Stepping Stones series offers chapter books for kids ages 7 to 10 but of course use your discretion, not all children are on the same reading level. Some may think that this series is only for girls but we've actually been using them in our morning basket with all the kiddos. 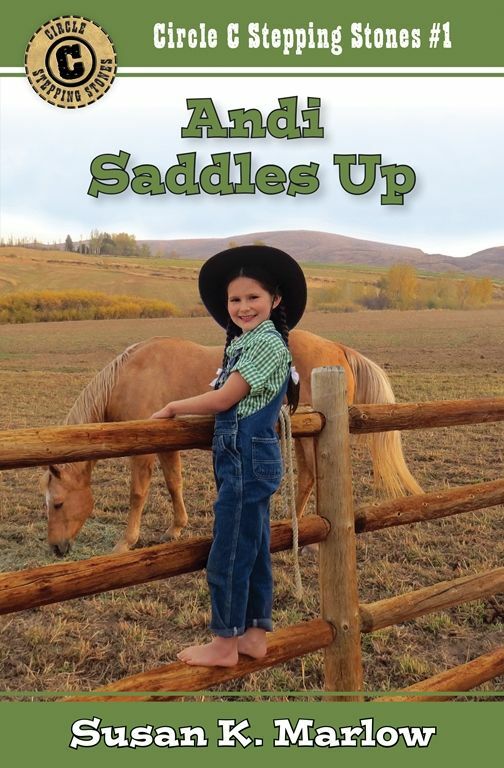 Being a ranching family and pretty much surrounded by horses all day, everyone in my house loves to hear about the exciting life of this young cowgirl, even the boys. If you go on the Circle C Stepping Stones website you will find lots of resources to use with these books. I first downloaded and printed the pages that we were going to use and then I separated them by chapter "chunks" so I put chapter 1-3 together then 4-6 and so on. I just put them in the pocket folder & keep them handy in my morning basket along with the books. There is an amazing lap book that you can purchase on her website as a download or physical copy. 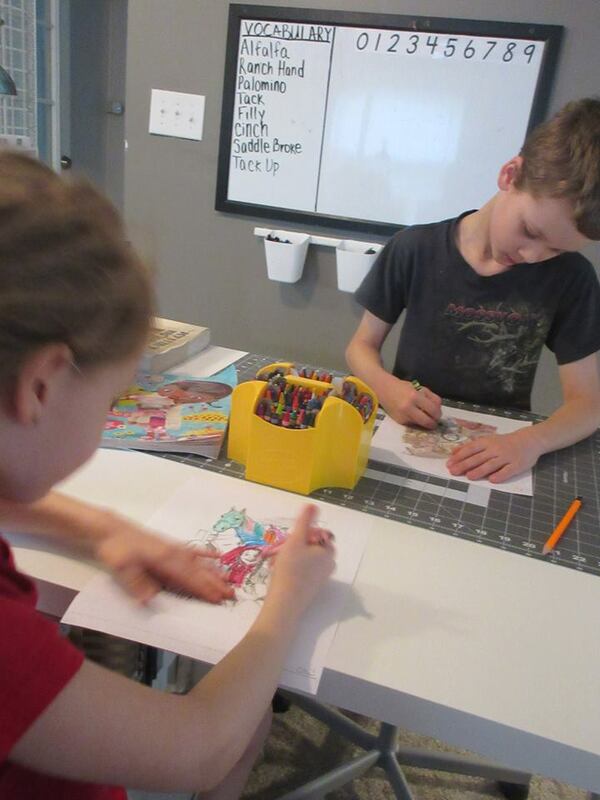 We opted to use the free activity pages and coloring pages provided on the website. I felt with these we had plenty of activities to use with both of my older children who are nine and six. 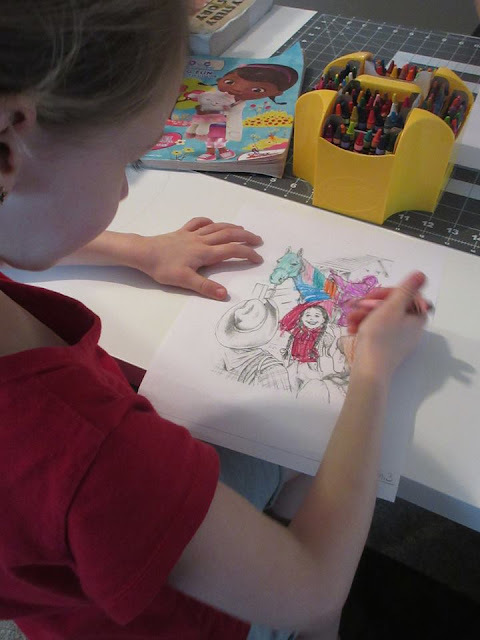 Sometimes I let my nine-year-old read but on days were in a hurry and we're pressed for time I will just read to them while they color the coloring sheets. I just love the activity pages that cover so many areas including character traits, poetry, map skills, puzzles and even some history lessons! We put the vocabulary list on our board and have been regularly referring to it. One thing I do love about these books is that they do make mention of God and reference the Bible or hymns often, even in some of the worksheets. Overall these stories are funny and keep your child's attention all while teaching them some key lessons in life. There will be six Stepping Stones books in all books three and four will be out in November of 2017 & books 5 and 6 will be out in July 2018. So be sure to keep an eye out for those. 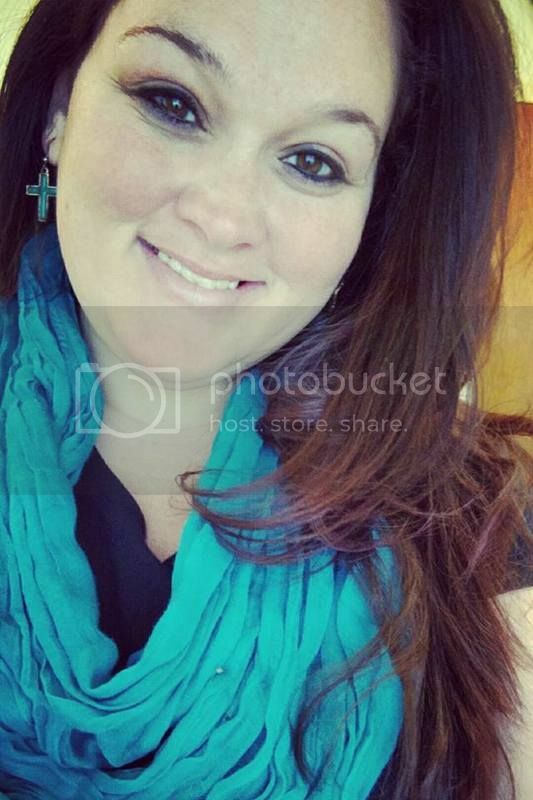 Here's a few social media links to keep in in the loop!